Disclosure: I received products and/or monetary compensation for this post. All opinions, however, are honest and my own. Do you have a New Year’s Resolution? For the past five years, mine has been losing weight. I want this year to be the year I stop trying and make it happen. Of course, if you want to lose weight, it’s hard not to notice the big three names in weight loss programs – Weight Watchers, Jenny Craig, and Nutrisystem. My big problem with the big 3 weight loss companies is the focus seems to be on having their ‘healthy’ food delivered right to your door, once a month, by a UPS or Fedex guy. As someone who focuses on healthy, natural eating, these box delivery services really bother me. How can it really be fresh, healthy food being delivered if it can sit outside all day on my porch, nevermind how long it was in the truck. If you check your tracking information, the trucks usually leave at 6 am and for me, don’t arrive till 3 or 4 PM in the afternoon. I know if I did that to my groceries I would have a lot of bad food in my car, you know? Even worse is the price – $200 – $360 for one person a month? Yikes!!! I could feed my husband and myself nice, healthy, fresh meals for that price! I mean, who can afford those high prices, especially after Christmas? This is way outside my budget. Even worse, you would expect that food to taste and look as good as does in commercials, right? While they talk a lot about fat grams and vitamins, it really doesn’t seem like food, especially with all the chemicals and preservatives added to make the food last as long as possible. Pretty scary, huh? I also find it very convenient that they don’t offer ANY free samples (unlike the #CoreUnDiet that recently caught my attention). Even worse is the taste. The last time I tried one of these boxed meals, I couldn’t get over the taste. It was bland and didn’t taste anything like what was labeled on the box. It also looked nothing like the commercials or ads you see online. While I lost a little bit of weight, I was hungry and ready to eat just about anything, all the time. Worse, after 3 to 4 months, everything I lost came back very quickly and just settled in new places. 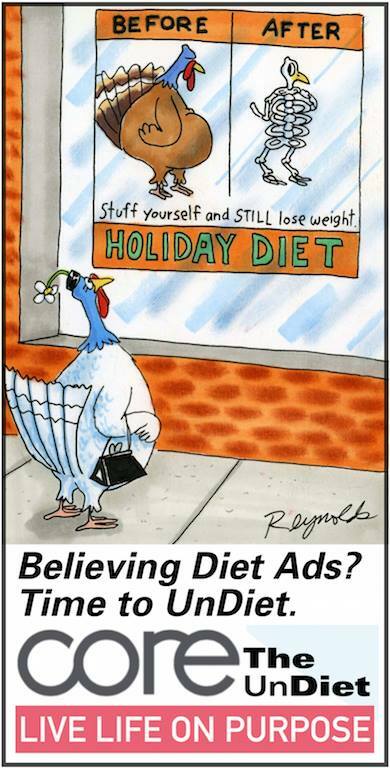 Like most other diets, I ended up gaining more weight after the diet was all said and done. In all honesty, I’m tired of dieting and hearing people telling me that their overly processed food is good for me. I want something that works over the long term. I recently saw a short video that explains why DIETS REALLY CAUSE WEIGHT GAIN. I thought it was very interesting so I highly recommend checking it out. It’s only about 1-and-a-half-minutes long, but it made a lot of sense. This time around, I am ready for something healthy and different – an undiet. Recently, I heard about the #CoreUnDiet and that I could get FREE samples of their program. I’m going to try it, and I hope to save my money, my taste buds, and the feelings of everyone who has to deal with a moody, hungry me. Join me on this fun adventure, and let’s lose weight together! With the free sample, you have nothing to lose! Disclosure: Budget Earth receive monetary compensation and/or products for this post. All opinions are my own and may differ from our readers’ opinions. 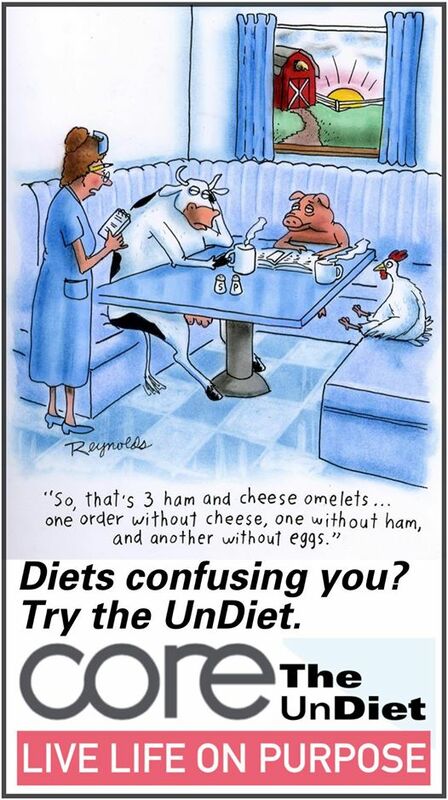 Iv’e tried diets in the past, but they never worked for me. I found that eating less and exercising is what did the trick for me. from 200 to 141 lbs (male) Kept off for 4 years now! My husband desperately needs to lose weight and this may appeal to him – but no matter what diet he is on, I will need a helmet because he gets so grumpy when he is hungry that he’ll bite my head off! My ex-husband did Nutrisystem and lost lots of weight but gained it all plus some back after stopping. The problem with dieting with their food is you never learn portion control.Thus gaining it all back. You should just learn to eat less and exercise more. Good Luck! I don’t make New Year’s resolutions anymore but I do have a goal to lose weight. I’ve thought of trying Nutrisystem but I thought I would learn more about nutrition if I planned out my meals rather than have food delivered.